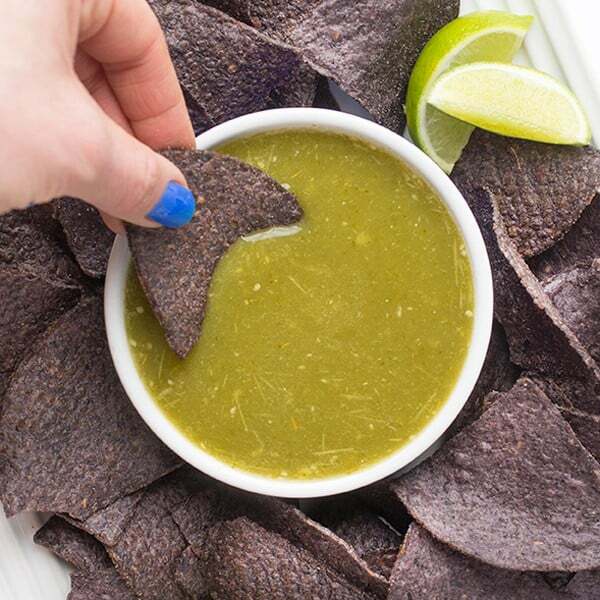 Homemade tomatillo green salsa requires as little as five ingredients and is bursting with authentic Mexican flavors. 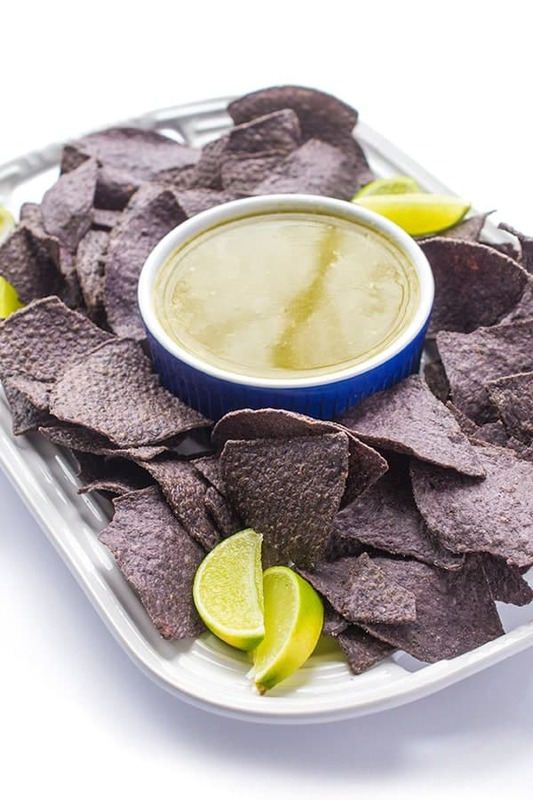 This easy salsa verde recipe is a total crowd pleaser! My kids are obsessed with tacos. They love going out for Mexican food and are always asking to eat out in one of the many local authentic Mexican restaurants here in town. Their favorite part? The unlimited chips and salsa, of course. I mean let’s be real. As a result, they are always asking to sample one of the many salsas offered on the table which doesn’t always turn out so great when they realize how spicy they can be. Luckily, my friend Raúl finally spilled the beans on his famous salsa verde recipe that can very easily be made as mild or as spicy as you wish. In fact, whenever a recipe calls for chili peppers of any kind, simply remove the white pith and seeds to lower the heat factor. Whether you want the heat level dialed up or down, you won’t believe how easy homemade salsa verde is to make. Using just five simple ingredients, you can serve it warm, room temperature or chilled. Raúl prefers it warm and I have to agree now that I’ve tasted it fresh out of the blender. 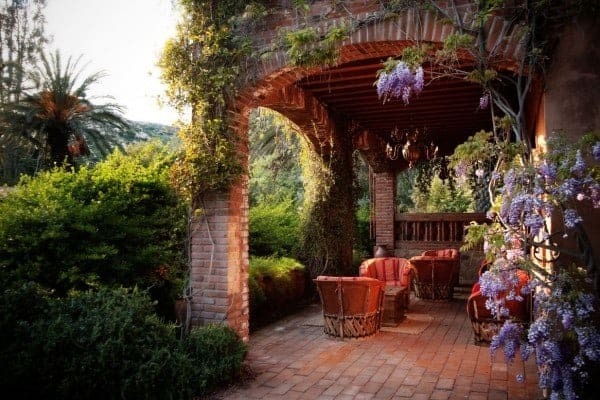 Speaking of Mexican cooking, next week I’m so excited to be headed to Rancho La Puerta, a Fitness & Spa Retreat located in Tecate, Mexico south of San Diego in the Baja Peninsula. 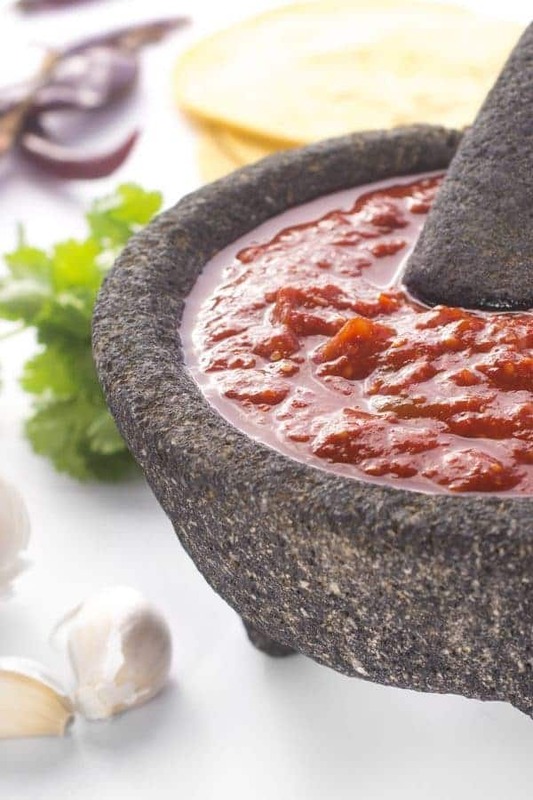 I’m so looking forward to attending La Cocina Que Canta Cooking School and learning more about their healthy, Mediterranean-Mexican style to cooking. Place the tomatillos and peppers in a soup pot and cover with 6 cups of water. Bring to a boil then reduce heat to a simmer. Simmer, uncovered, for 12-15 minutes, being careful not to let the tomatillos burst. Drain pot and reserve 1/2 cup of the cooking liquid. In a blender, puree the cooked tomatillos and peppers along with the garlic and reserved cooking liquid. Season with salt and pepper to taste. 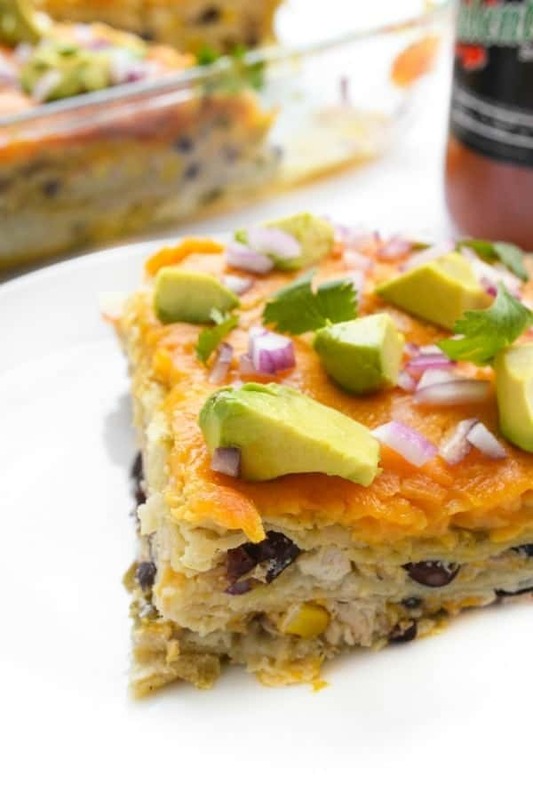 For more easy Healthy Snack Recipes, check out Pinterest! With so many Salsa Verde recipes out there, I was curious to see how you make yours. I make my own all the time, but without the tomatillos. My recipe is one handed down from my family. Like my Mother, we never measure, just know how much to use. I use the same type of peppers, except I use 1 pasilla, instead of habanero, but might just add it into the mix. I use onions, garlic, cilantro & a touch of oregano, but only salt to taste no pepper. Instead of so much water, I use lime juice. This way you get the real taste of the peppers! That’s such a great tip Sally!!! Thank you so much! I’ve never made my own salsa verde before but I sure do love eating it. 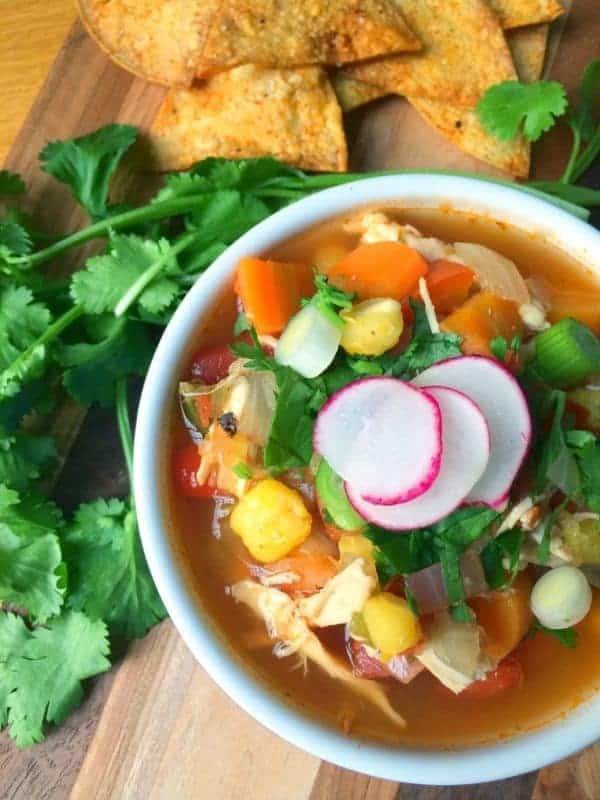 Such a great and easy recipe to make! This was my first time – couldn’t believe how much tastier it was than bottled! I hope you love it! MY favorite part of Mexican food is unlimited chips and salsa also! Of course, that may or may not have something to do with the fact that I then have no room for whatever I’ve ordered. Oops. This salsa verde sounds super tasty! hahaha That is so true girl!! I hope you can get there one day – it was gorgeous! !